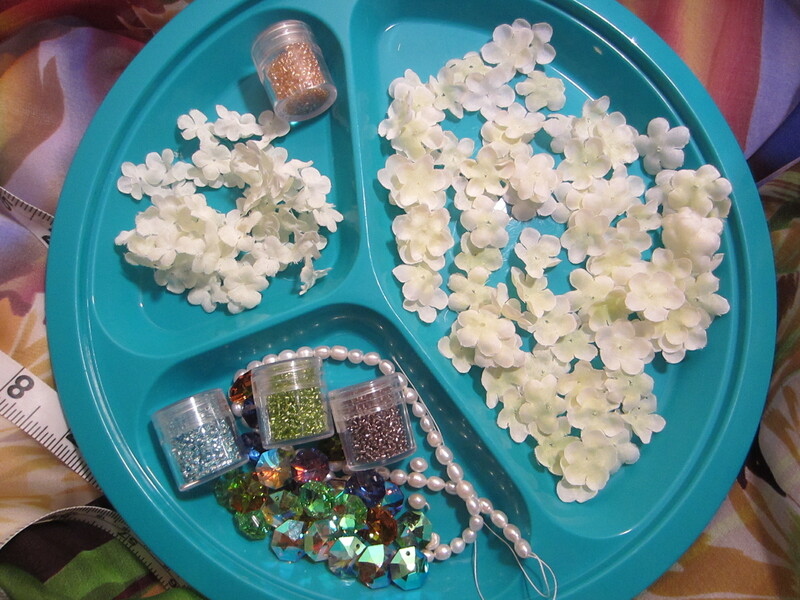 Japanese iridescent glass seed beads, silk flowers, fresh water pearls and Swarovski crystals for the bodice. Oh, you are such a tease!! Let me see how it is turning out! I couldn’t agree more with Very Victorian needlework/handiwork …. and losing beads! Ooh, I just looked through all the little snippets of this dress. Can’t wait to see it! Now you are really teasing me. You have me on the edge of my seat. I can not wait to see the finished dress.